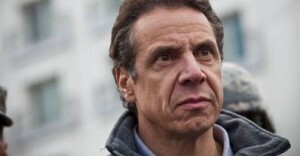 The interview, heard by many now, with New York Governor Andrew Cuomo sparked a firestorm of criticism by shocked and concerned citizens whom he is supposed to represent. His aides released a clarification letter regarding the interpretation of his comments insisting that the Governor did not say, “conservatives should leave the State.” That’s true. What he actually said was that extreme conservatives have “no place in the State of NY.” (Start listening to the interview at min 9:20) Feel better? Thankfully he did take the time to define those who he believed are conservative extremists. In his mind extremists have a religiously motivated belief in ‘the right to life’ (his words), or who are anti-gay (pro-natural marriage, perhaps? ), or who are pro-assault weapon (um, maybe second amendment advocates, not sure). He said that these people seem to be one and the same representing approximately 30% of the New Yorker population. He gave no citation as to his statistics. To be clear, according to a 2013 poll half of New Yorkers self-identify as pro-life and a super majority 75-80% favor common sense restrictions on abortion. Also, there is not perfect overlap of views. Not all pro-lifers are pro-gun. Not all ‘anti-gay’ are pro-life. The point is that Cuomo is alienating a lot more than just 50% of New Yorkers saying those ‘extremist’ views have no place in NY. Meanwhile back in 2013 and again in his 2014 State of the State address, Governor Cuomo promoted the total deregulation of abortion through the omnibus bill titled “Women’s Equality Act” which would permit abortions to be performed by non-doctors through all nine months of pregnancy while insulating abortionists from any responsibility if the abortion were botched while enshrining abortion as a fundamental human right up there with freedom of speech. Whose the extremist now? But anyway, as the interview progressed, it was tempting conclude that he was speaking to the public since he was giving a public interview on the radio. But let’s give Cuomo the benefit of the doubt and assume that he was only talking to legislators who represent the people. It is just those type of extremest legislators who have no place in government. But in a representative government, government by the consent of the governed and all that, to say there is no place for the representation of the beliefs of the people is essentially saying that there is no place for those people. There is no getting around it. If elected officials are supposed to represent the people and the people are pro-life, pro-natural marriage, and pro-second amendment then those are exactly the issues those representatives should represent. Instead we are left to conclude that according to Cuomo, elected officials should dictate the new morality and force it upon the population because there is no place in government for these good old fashioned, I mean extremist, views held by the majority. We are left to assume that those types of people are welcome to stay in NY just not be represented. Ironically, he did go on to say in his interview that there is a place for the moderate republicans who control the Senate. If you recall it was those same Senators who blocked Cuomo’s abortion expansion bill last year. So maybe there is a place in the New York legislature after all, at least to protect the ‘right to life’ for the most vulnerable among us, the pre-born boy and girl.